1. The U.S. consumer remains a bright spot amid slowing economic activity abroad and a cooling U.S. corporate sector. 2. 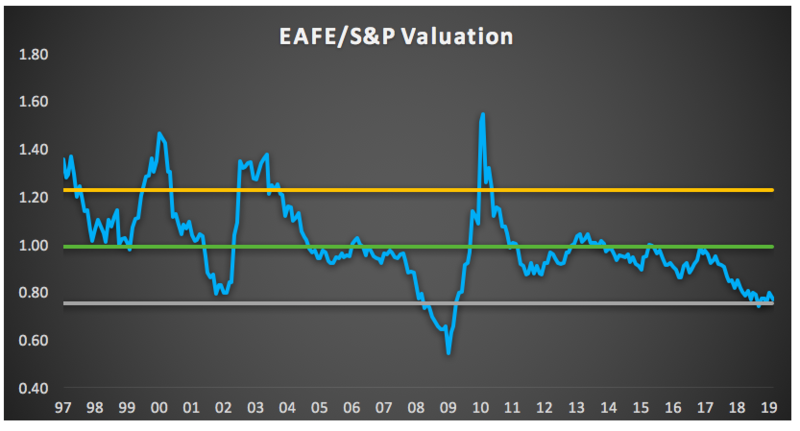 Equity indices have recovered the bulk of their losses from the fourth quarter and valuations appear fair. Given a more challenging macro picture, fixed income has become the more attractive asset class. 3. 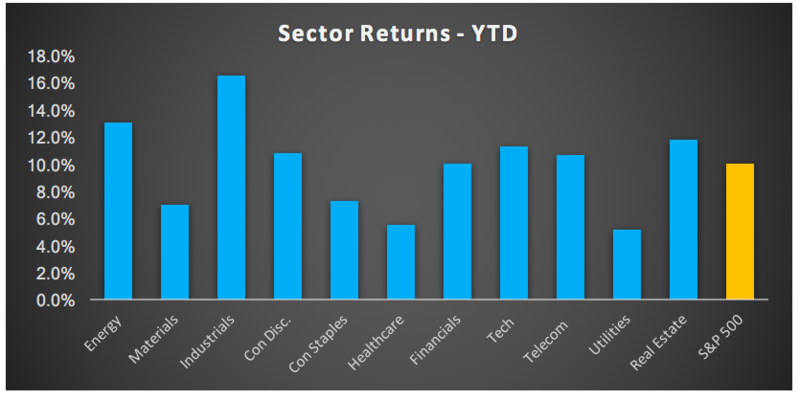 Some sectors, such as Tech and Industrials, have reaped strong year-to-date returns. Given continued volatility and slowing trends, this has created a case for more defensive sectors. 4. Political risks and slowing economic data has created a tepid view toward developed international markets versus the U.S.; however, markets have already discounted much of this risk. 5. Sentiment toward emerging markets equities turned positive in mid-2018, and investors continue to show confidence in the region due to a more dovish rate environment and expectations for further stimulus from China. The source for all charts is Bloomberg. To view Sage’s February Fixed Income Outlook, click here.